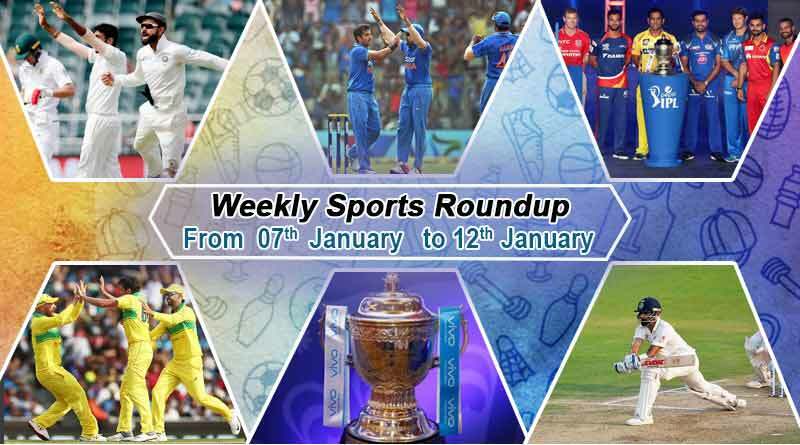 Looking for sports weekly cricket round up from 7th January to 12th January 2019? For all the cricket fans out there, here are all the cricket match highlights and other details of all the cricket matches that took place in this week in our sports weekly cricket round up from 7th January to 12th January 2019. For more articles like sports weekly cricket round up from 7th January to 12th January 2019, do Subscribe to our newsletter and follow us on Facebook, Twitter, and Google+.